The Agents of the New Order care deeply about highsec. Nothing escapes our notice--not even the smallest detail. Agent Lenda Shinhwa was performing a routine inspection of Balle, a system in the Sinq Laison region. He noticed a Celestis-class cruiser sitting next to a miner in an asteroid belt. Lenda was curious about this, so he decided to investigate. The Celestis pilot, TDD Dominaters, didn't take much prompting before he delivered a full confession of his counter-revolutionary intent. He planned to counter-gank gankers by using sensor dampeners. With confession in hand, Lenda reported this news to the CEO of Bad Touches corporation. 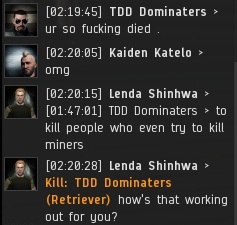 Within five minutes, Bad Touches declared war against TDD's corp. That's the power of the highsec community working together as one. When TDD received notification of the wardec, he went back to station and traded in his Celestis for a Retriever. Why? Because he wanted to get some mining time in before the wardec took effect. So Lenda killed him. It's incidents like this that give the New Order its reputation for efficiency. TDD had gone from bragging about stopping ganks, to being a gank victim himself, in less than an hour. As TDD raged in local, Lenda softly reminded him of his boasts and encouraged him to become a better person. Like many carebears, TDD substituted a grotesque distortion of reality in favor of the reality that the rest of us enjoy. You've heard miners say "I'm not a miner". You've heard highsec carebears say "I'm not a highsec player". 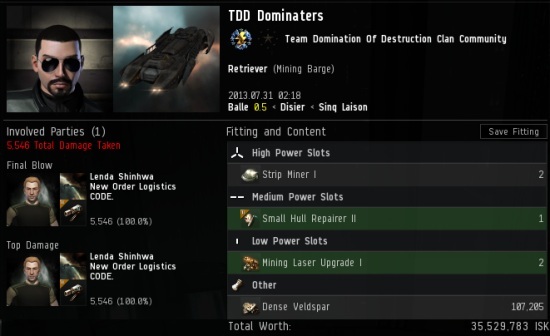 Now TDD's mining ship wasn't "a ship". Despite all evidence to the contrary, TDD was confident that he would win in any future battles with Lenda. Lenda suggested he educate himself. 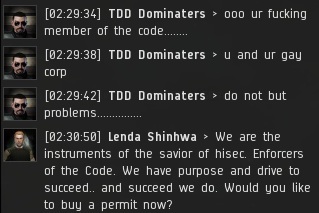 It was then that TDD realized that Lenda was an Agent of the infamous New Order of Highsec. Would he relent? 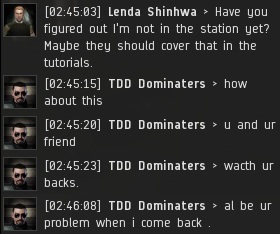 Instead of offering an apology, TDD raged more in local, and demanded that Lenda leave the station. But Lenda wasn't actually docked in the station. TDD was still deeply ensconced in his own reality, and demanded Lenda undock. Meanwhile, Lenda was sitting comfortably at a POS. Eventually, TDD recognized that he wouldn't find satisfaction at the station. He vowed revenge against Lenda and all his friends. Would he get it, or would he just embarrass himself again? 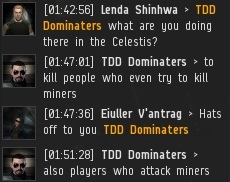 Highsec is a place where gross people huddle together and get shot at. Never, ever nerf highsec PVP. It's truly the best part of this game. TDD Dominators possesses that rare combination of ignorance, delusion, aggression, and ineptness that makes him a contender for Most Hilarious Carebear Featured on Blog. Bravo, Lenda Shinhwa, for stumbling on this bag of lol's and having the generosity to share it with all our readers! Another enjoyable read, keep them coming! Enjoyable, just the right mix of ineptitude, tears, and laughs. Along with a dash of the awesome Mr. Shinhwa, makes for a delectable and tantalizing palette pleaser that leaves the reader wanting more. I'm just as excited to see how it turns out as you guys. I thought it was over, but then something wonderful happened that wasn't even my doing. Not sure the something wonderful will make it to the blog. But I'm sure TDD will keep on creating content for scallywags for months to come. This idiot has been being acting like an asshat for months now in Balle. Good to see him/her featured in an article. I suspect there to be many more tears in the future. I'm not sure where you are getting your info, however great topic. I needs to spend a while learning more or figuring out more. Thank you for fantastic info I used to be on the lookout for this information for my mission. Can we get a spam deletion over here? Another act of honor by manipulating information, like Goebels liked. The real situation was like that: TDD was really annoying but he got a ship with guns, so all Knights felt themselves tired to gank this time. 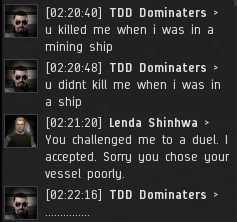 Then someone was watching, when TDD gonna put on another ship - so they could kill defenceless miner or shuttler, like usual (I forgot to mention that they kill only defenceless, like a bully in school?). So it ended with TDD tears. And this gonna last forever - they will run, leaving a trail of scareshit behind when see battle ship and attack weak players and ships to feel themselves strong and clever. Wanna redraft that into English, kiddo? Goebels liked to manipulate with information too. afraid of true PVP battle (Well, they're not afraid to attack battleship if it will come 1 vs 10-20 Knights). Also, English is not my native language and sometimes I can do mistakes. Does it mean I'm kid? hey wiseguy inform yourself before you brag about unfair pvp. first of all. a fitted celestis costs maximum 15 million isk, so its not really worth to gank. so he switched to a retriever witch is minimum 40 mill isk so it is more worth to gank it. we could kill it mostly in a 1 vs 1 in a catalyst.. problem is, that the knights are mostly sec status -5 and lower so we cant stay longer in one place than 20 seconds before npcs rip us apart. so we dont have enough time to kill someone solo. if you go to ccp and whine that we need to bring 10 guys do it. i would be happy to be able to kill everything in highsec with only 1 ship. next time learn about the game before you whine on a blog about the game. 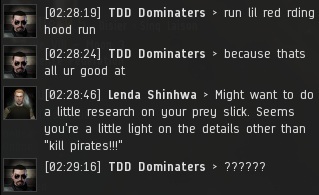 The topic is not only on this situation - everyone in EvE know that your "Order" (Troll-Pirates club) killing only defenseless ships always. Because u know that it can't kill you earlier. I see a lot more than just defenseless ships. Just sayin'. That was some quality rage, skillfully extracted. Last time i checked, several of the best knights were fighting full scale war in null. 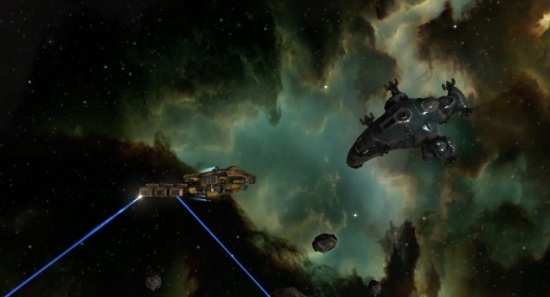 now... unless, null mining ships spontaneously spawn extra highslots filled with guns, in massive fleet battles, id say that eliminates the "defenseless ships" excuse. 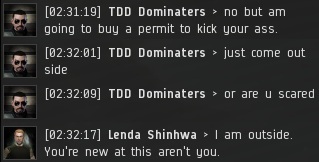 HOWEVER, in highsec, A MINING PERMIT is the best (and honestly the ONLY) defense for ANYONE who would like to mine. If youre not smart enough to realize that 10 million is less than 30 million, or 3 BILLION, you deserve to lose what you have. Those are Eve's rules. Not James', or the New Order's. Wise words Renn, may I call you Renn?